The software industry is currently experiencing a development renaissance. This is great news for business owners looking to shop around for a new vendor, but it makes gaining market share challenging for software companies. Given the crowded apps marketplace and the prevalence of cloud-based SaaS solutions, it’s vital for software companies to market their products appropriately. In order to scale past early adopters and into mainstream sales success, nearly 90 percent of SaaS companies reported new customer acquisition as a top priority. Lead generation can be a costly process, but with a solid software marketing strategy, growing companies can lower those customer acquisition costs and potentially increase sales. Let’s take a look at some software marketing tips that can boost revenue. Customer service has become a cornerstone of brand strategy in a digital age where companies are cultivating a richer understanding of the impact of customer experience on the sales funnel. Customer service, however, is more than just responding to questions and complaints online. It’s about understanding the customer journey. What do they want? Where are their businesses headed, and how does a company’s software fit into that niche? How are they currently evaluating their vendor options? Questions like these can help segment the buyer persona more effectively. Answering these questions gives insights to marketing teams so they can more intimately understand how stakeholders make purchase decisions, allowing them to more precisely build marketing campaigns and target more qualified leads. Another valuable element to SaaS marketing is examining the value proposition behind the product offering as a potential vehicle for marketing efforts. Identifying key elements like price, data storage, analytics, and other facets business owners are particularly interested in plays a role in developing solutions to fill those needs. Software CEO Mark Hurd echoed this theme by saying, “aligning technology strategy to better service customers becomes an essential path to revenue growth.” If software companies can isolate the most appealing aspects of their offering, thus reducing costs for their customers while remaining competitive in terms of function, they can translate their developments into better customer service. Outstanding customer service can act as a key differentiator and provide valuable marketing clout. Content marketing has experienced explosive growth across industries, especially in the SaaS sector, where breaking down more complex topics can be integral to converting sales. Two ideal places to offer such content are blogs and social media channels. A unified blog and social media strategy can extend the half-life of popular posts and drive organic traffic to target pages. Additionally, offering engaging content can help software companies build up an email list to send out newsletters and marketing material. Businesses should offer relevant, expert content that appeals to their target audience’s particular set of interests and expertise. Content can take the shape of standard blog posts, podcasts, infographics, and videos. The idea is to create “explainer content” framing data or product information in an easily digestible and shareable format. Current trends in media consumption point to mobile devices as a leading source of paid and organic clicks, so focusing on content such as video and audio can help capture an audience who is always on the move. Feature marketing is one SaaS marketing trend that can be augmented with content marketing. Many software companies develop side features, apps, and widgets that stand alone from the main product but provide added value to target buyers. These additions have the potential to confuse customers if they are not communicated properly. Yam Regev, a software content marketing expert, commented, “the fact there are lots of new features is just like having more content! Extra features enable marketing to better inform and engage targeted audiences.” Sometimes, companies develop features that become more widely used than the main platform itself. Savvy marketers will consider the development of new products and apps as valuable opportunities to attract new customers and upsell existing ones. Customer testimonials are essential when building up credibility surrounding a software product. They are an important part of a brand’s presence and stand as a testament to what prospective clients can achieve, or “social proof.” Because 92 percent of e-commerce buyers stated they sought out and read customer reviews before making a purchase decision, positive testimonials are increasingly important to those considering a software vendor, which is a more nuanced purchase. Marketers can encourage customers to leave reviews or identify and reach out to specific clients who are likely to leave a positive testimonial on their site. Case studies are a great example of leveraging client results to inform future purchase decisions and can be a valuable asset in a content marketing campaign. Standing out in the bustling SaaS marketplace can seem daunting. The tips above can help software companies cut through the noise and communicate their product offering more clearly to prospective customers. Did you know that 27% of small and midsize businesses (SMBs) admitted that they have a hard time creating and sending invoices? 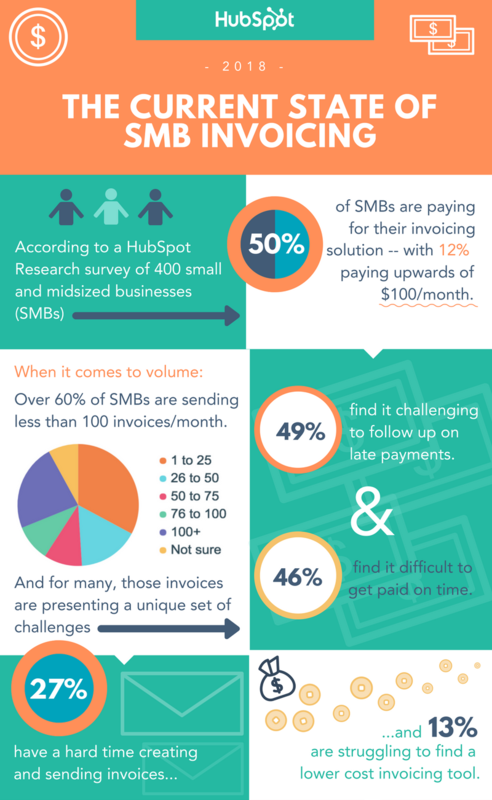 You may want to take a look at the infographic below to gain a better understanding of the current state of invoicing. As you can see, a seamless and intuitive invoicing system is an indispensable requirement for your business. Starting a small business may be a dream come true for many an entrepreneur, but running it takes effort and smart work. Modern businesses need to harness technology that not only supports their processes, but also betters them to set the tone for long-term success. Every time your small business sells a product or a service, an invoice is generated. For a thriving business, that’s way too many invoices being made every single day. This is where an efficient small business invoicing solution comes into the picture. It takes the worrying and erring out of making sales and payments, and makes the process expedient and hassle-free (and environment-friendly). 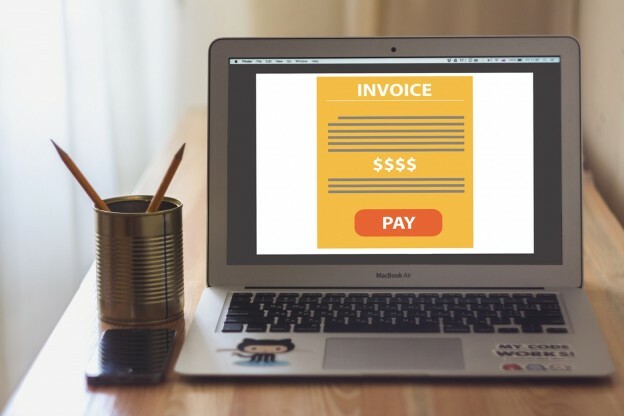 This post will shed light on the purpose of online invoicing, its functioning, and the factors that will help you choose the right online invoicing solution for your small business. Having a small business invoice software in place will allow you to bid adieu to traditional solutions like MS Word and/or Excel. This, in turn, will enhance your workflow and eliminate the frustration arising from the arduous process of managing invoices. With the right invoicing solution, it becomes easy to create, track, and process invoices as well as business and customer details. Further, such a software can accelerate and augment your cash flow, as well as expedite and simplify payments, apart from helping you save time and money. Online invoicing software allows you to store all your data in the cloud. This means you can put your worries related to losing invoices or client data, or even your computer crashing and hacking issues to rest. All you need to do is log into your account to access all your business-critical information and start billing your clients. Mentioned ahead are a few undeniable advantages of using online invoicing software. Invoicing software allows businesses to carry out secure digital transactions and automate outflows by setting up recurring payments. This is particularly helpful with long-term clients. The system sends follow-up messages and payment reminders for forthcoming and due invoices. This, in turn, eliminates the stress of manually tracking and chasing down these payments. Paper invoices can easily get lost or land in the wrong hands. A good invoicing system prevents this by making data security a priority. Ensure to invest in software that complies with PCI Security Standards. Such software employs advanced security safeguards, such as SSL encryption, against threats and loss of data. Technology has brought the world closer, enabling small businesses to work with global clients. Cloud-based invoicing platforms are becoming increasingly popular due to their ability to allow users to choose their preferred language and currency, making interactions and transactions between companies and clients smoother and clearer. Because online invoicing systems are able to operate flawlessly in the global marketplace, the payment barriers are eliminated. Online invoice management systems empower business owners to access and manage client information and billing data from any location and time zone and on any smart mobile device. Whether you’re working from office, home or are on-the-go, you can do business as usual without a hitch. It is easy to access and interpret information with an invoicing software as it allows you to save and view your bills, estimates, expense receipts, transaction statements, and other important documents on one dashboard. The system creates a systematic and quick process for assessing financial statements related to your accounts and tax deductions. This makes it convenient for you to maintain your records in an error-free manner, which can be especially helpful during IRS audits. Sending invoices online and receiving payments is quick and easy with an invoicing system in place, even more so if you use the recurring billing facility. Receiving, reviewing, and returning invoices can be done with the click of a button. This translates into quicker payments in a safe manner. Business owners can say goodbye to tedious data entry with online invoicing systems as they let you generate and distribute multiple invoices without reentering customer information each time. Bills can be tracked easily as well. Further, overheads can be brought down by jettisoning the use of paper, stationery, stamps, and document storage items used for sending invoices. All your system-generated invoices will have your company logo, color schemes, and fonts that are a part of your brand standards. With a strengthened brand identity, clients are bound to take your business seriously and make payments on time. Further, you can customize your invoices with messages such as “Thank You!” You will also be able to link to piece of content created by you to help solve clients’ specific problems. This will reinforce your brand identity while establishing your leadership and expertise. Start by entering your client’s information on your invoicing system. This includes their name, contact details, email address, billing and mailing address, and preferred payment method. Organizing this data will enable you to set up recurring payments and issue invoices instantly. Users can also input the usual billing costs once and for all in the system. The software will calculate the total bill at the end of each cycle automatically. This works particularly well if you charge an hourly rate. Set up your payment terms and policies as these will determine how your invoices will be paid. Other factors to consider are payment schedules and preferred payment methods. Deciding on these aspect will make your billing process glitch-free. This should motivate clients to pay invoices on time and without hesitation. Invoicing systems allow you to carefully design invoices to prevent confusion and delays. While this may seem complex, it really isn’t. Make sure your invoices include your brand’s logo, color scheme, your contact information, invoice number, payment due date, payment terms and policies, itemized list of products/services, and a note of thanks to the client for the payment. You can maintain records of contracts, agreements, payments (paid and due), and other documents in the most orderly manner with the help of an online invoicing software. How to Choose the Right Online Invoicing Software? 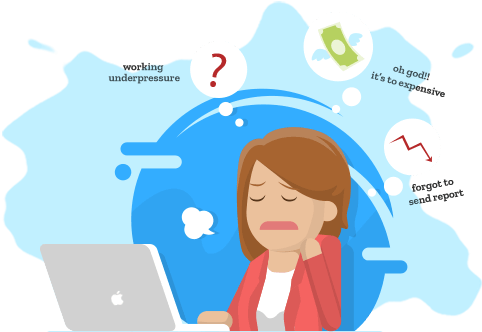 One of the conundrums small business owners find themselves in relates to choosing the right invoicing software. This can get tricky because of the variety of industry-specific solutions available in market. However, you will do well to focus on the following criteria when picking a system for your business to ensure that all its needs are met. Figure out if your invoice management system stores your data on its own server or a third-party server. Ask providers about the security measures they take to ensure the security of your information. Also, verify if the software providers are using HTTPS connection (from their website URL in the address bar). This protocol ensures that the data transferred from your computer to their server is encrypted and safe from hackers. You can also view their security certificate on their website. Not all business owners are well-versed in accounting, which why an invoicing suite becomes a necessity. Even with a dedicated accountant in place, business owners should be able to view and make sense of the financial information without any trouble. Ensure you get an easy to use software with a clean user-friendly interface that allows you to focus on business-critical tasks. A lot of business owners make the mistake of thinking short-term and buy software that fails to support the needs of their growing operations. This slows the progress and forces entrepreneurs to migrate to other software, which can be a hassle. It is, therefore, prudent to get software that scales with your business needs. Go for one that offers free entry-level features and can be upgraded to an advanced fully-equipped paid version, which you will need in the future. Having an ingenious invoicing software in place can certainly help small businesses streamline their processes and work better with clients. From automating invoices and organizing data to receiving payments safely, online invoicing solutions can do it all. The kind of system you need depends entirely on your business goals and the kind of legacy software you have been using. Use the above information to make an informed decision and propel your business towards success. What kind of challenges did you face when picking an invoice management system for your business, and how did you overcome them? Do let us know in your comments. The majority of people love to travel, which is why you may think that travel marketers have it easy. Well, the truth is that the opposite is the reality, because the travel industry competition is stiff and fierce. That’s not to mention that things fluctuate greatly between seasons and between destinations, which complicates things even further. But even with the travel industry expected to grow even further and competition getting even more fierce, the truth is that marketing your travel business also doesn’t need to be as difficult as you may have initially suspected. These are the seasons when people are the most likely to book for travel, with a nearly 30% increase in travel searches during this time. Specifically, December, January, July, and August are the top four months of the year when people are booking the most flights and hotel rooms. Therefore, these are the months of the year when you will want to be focusing your marketing efforts the most intensely. While you may think that you should bid higher during those months when people are going to be booking far more flights and hotel rooms, the truth is that’s the exact same strategy that most if not all of your competition is going to be using as well. Instead, bidding your prices just a hair lower can be the best strategy to stand out more and gain you more sales. Just don’t bid too low, because you still want your business to turn out a profit. It may be a good idea to be informative and to go as far as to start a blog about travel tips and advice. That way, people may find out about your travel agency or business through your blog first. Just make sure that your blog truly is informative and educational. Beyond generic subjects like ‘top travel tips for beginners,’ you can get more serious and specific with subjects such as visa application rules by country or the best hotels by city. A major mistake that travel agencies make these days is that when marketing, around two thirds of all advertisements are just dull text ads. When people are traveling or planning to travel, they don’t just want to read or hear about the destinations. They want to actually see those destinations. That’s exactly why images and videos need to dominate your websites, mobile apps, and advertisements all at the same time in order to make them significantly more captivating. All in all, these are the top four travel marketing tips that you will be unwise to ignore: marketing the most aggressively during the summer and winter, bid lower if possible) to stand out more, be informative and educational in your website, and be visual in your advertisements. So, your business is interested in creating a mobile app? It’s no surprise. Creating an app is one of the best things you can do for your business, so nearly every business has one! Unfortunately, just having an app isn’t enough. Nobody will download it if they don’t know it exists! If you’re just getting started trying to advertise your app, make sure you start with these four marketing tips that are perfect for apps of all types. One of the very best ways to market your app, or any other kind of product or service for that matter, is to use social media. There are a couple of ways you can do this. Start by having a presence on Facebook, Twitter, and Instagram. Connect with friends and followers in a meaningful way instead of being overly promotional. Paid advertising is also an option on social media platforms. As a bonus, most platforms make it very easy to advertise and get the most out of your marketing campaign. Your business probably already has a website, and you should definitely talk about your brand-new app on your site, but your app should have a website of its very own too. There are a couple of reasons why your app should have its own site. First, it’s a great way to ensure your app is easily searchable on the internet. Second, you can include as much information as possible about your app on its own website. In addition, having a site for your app shows people that it’s the real deal. With its own presence on the internet, people will feel confident that it’s worth their time. When it comes to advertising your app, it’s about a lot more than sitting behind a desk and typing away on the internet. One of the best ways to advertise your business is to get out there and mingle with the public! Another great way to get the word out about your app is to connect with social media influencers. It doesn’t necessarily have to be someone with millions of followers. Even getting an endorsement with an influencer in your industry with a few thousand followers can help. The very best, and easiest way, to get started advertising your app is to make sure its listing is optimized in the app store. That means using keywords, ratings, and detailed descriptions so that it is searchable in the store and enticing to download when found. There are many ways to advertise your app, but if you’re just getting started, make sure you begin with these four ideas. They’ll make sure your app gets off to a running start! You’ve certainly heard of the cloud. Even if you haven’t, you’ve been using it for years. It’s what enables you to access information on the internet that is stored on servers all over the world. The cloud is expanding, enabling us to do more with the power of the internet than ever before. Businesses are finding it easy to keep up with compliance using cloud-based software and companies are able to store massive amounts of information without having to house a huge server in the building. We all have a basic understanding of the cloud, but you probably don’t know these cool things about cloud technology. Do you remember the days of buying external storage devices? The more storage you purchased, the more expensive it would be. However, most people bought more storage than they needed. It was especially difficult for businesses to gauge just how much storage they needed and how much they would have to pay to ensure they have extra storage, just in case. With the cloud, you only pay for what you use! When you need more, it’s there for the taking. There is no longer a need to pay for storage that you won’t use. In addition, you can choose to operate entirely in the cloud, use a server on your premises, or a hybrid of both. The most convincing reason to use the cloud, especially for businesses, is because it can help you save time and money. In addition to the fact that you only pay for what you use, a company will also save money because they aren’t spending cash to maintain hardware and subscribe to software and other services that require monthly fees. You can also scale up or down instantaneously without having to spend days or weeks planning a new strategy. Losing important files is a nightmare that every business shares. It would be even worse if the system was compromised because it would prevent employees from getting their work done. With the cloud, you may never have to worry about backups or disaster recovery ever again. Although you shouldn’t depend on the cloud completely, if you choose a cloud server that provides disk-based replication, you can rest even easier. Don’t forget that the cloud is the reason why we’re finally starting to live in smart homes that look like the ones predicted in the mid-20th century! The cloud is here to stay, which means it’s well worth your time to learn everything about how it works. Progressive web apps (PWAs) are poised to topple their native app, soon-to-be predecessors from their throne atop the best mobile app development strategies pyramid. In other words, move over native apps, your younger and better-looking sibling is taking over. That said, don’t start pulling your hair out if your business has already invested in the development of a native mobile app. Your money hasn’t gone to waste. There’s still significant value to gain from having a downloadable native app. Mobile apps, no matter the breed, are going to enter a hybrid period where consumers expect both a native app experience and a progressive web app. The future beyond that period, however, points towards a PWA-dominated landscape. In this discussion, we’ll take a look at ten reasons why PWAs are better than native apps and create a better app-like experience for customers. As more and more people shifted to browsing and using their mobile devices, app developers slammed the marketplace with apps to meet this demand. Many users are reaching critical mass with the number of icons and apps that they’ll allow to populate their mobile devices’ home screens. Thus, it’s becoming incredibly difficult to convince customers to commit to downloading a new app and crowding their screens even more. Towards the end of 2016, Google announced that it would shift its search engine indexing algorithms to mobile-first indexing. This change is predicted to occur in 2018 and will mean that Google will look for a company’s mobile website or experience before its desktop website. You’d be hard-pressed to find better evidence than that of a mobile future. For companies with PWAs, this change is huge because it means that your app-like experience will soon be discoverable by Google and other search engines. This is a luxury that even native apps won’t be able to compete with. Search engines are just one way for users to connect to your PWA. These web-based apps have always had a key benefit over native apps: accessibility. Think about how many steps are involved in downloading a native app to your mobile device. You have to access your device’s app market, search the app, download the app, accept permissions and so on. Each step is a chance that the would-be user decides it isn’t worth it. PWAs, on the other hand, are accessible the moment a user learns of its existence, by accessing the experience through a URL link. People like to share the latest “new” thing they’ve discovered, read about, bought, tasted, touched, etc. That’s why every social media platform ever to make it big has a share function and why there are options to share this blog post at the bottom of the page. People like to share apps too, but native apps’ lack of accessibility has made this difficult. You can’t just send someone a native app. You can only tell your closest friends to check it out; it is then on them to visit the app store and see for themselves what the app is all about. PWAs are unique, compared to their native counterparts, because they can be accessed through a simple URL link. This means that sharing a PWA experience is as easy as linking someone to a news article. The other detriment to native apps’ shareability is that not all apps function across different platforms. If your friend has an Apple device and you a Samsung, there isn’t a guarantee that they can get the same apps that you love on your Android-powered device because the language on their Apple devices is different. Native apps get their name because they require a native programming language. This restricts the types of devices that can “read” and allow the app to run. Progressive web apps are unique because they don’t require any download or programming language to read. It is all web-based. Thus, not only can you easily share a PWA experience, but there’s a much higher guarantee that the recipient will be able to access the app-like website. PWAs don’t require any sort of download; a user can access the entire experience right in their mobile web browser. Part of the app fatigue that many mobile users are facing is lack of storage. Between the apps we download, pictures/videos we take, documents we save and every other item taking up residency inside our mobile devices, we’re creating storage needs faster than the newest models of smartphones can keep up with. If a potential user has to decide between downloading your app or keeping photo #3,047 of their cat and an auto-tuned version of Beyonce’s Single Ladies saved on their device, it isn’t going to be a hard decision for them. If you want to “download” a PWA, you can save a URL shortcut to your home screen. This functions exactly like any other icon for an app does on your home screen. When pushed, it accesses your favorite mobile browser and brings you to the URL of the PWA. Storing a URL link requires much less space than downloading an entire native app. Once a native app has been installed on a mobile device, and the user has successfully committed to the whole download process, the waiting still isn’t over. The load time of native apps can range, based on the app’s size and robustness. Yet, any wait is a long wait, especially for something that you’ve already waited for to access and download. Again, progressive web apps have the edge; they load in about the time it takes to load a webpage, which with an average Internet connection is just a moment or two. For businesses, this means customers never have to wait to access your app experience. Not only are PWAs easier and faster to locate and load, but they are also quicker to make. This makes them exceptional for one-off campaigns, new product releases or any other occasion where you need to bring an app to market very quickly. However, this perk does hint at the downside of PWAs; they lack the performance and number of robust features that native apps are capable of. While PWAs are more straightforward to develop, part of their ease of development is because they can’t handle a lot of the harder-to-code features that native apps can leverage. The speed and ease at which a PWA can be developed means cheaper costs. This is excellent news for smaller businesses that have been kept out of the mobile development game because of the costs of creating a native app. Progressive web apps are also easier to maintain for both users and developers. Users don’t have to repeatedly update their app in order to get the latest features; updates are immediately applied to the web-based experience the moment the developers publish them. The developers of PWAs experience far less time to produce each update or provide general maintenance to the app. As mentioned earlier, PWAs do lack in one major category: performance. Native apps are capable of doing more and offering more than progressive web apps. That said, don’t count the more nimble PWA out of the count for features. First, PWAs already provide a lot: push notifications, app-based loyalty programs, location-based services and messages, even interactive games and other media. Second, PWA’s are relatively new; there’s still significant developments underway and there’s plenty left to be discovered about the capabilities of web-based apps. It isn’t hard to envision a future where the gap between PWAs and native apps, regarding performance, is much smaller than it is today. However, even if such a future is never actualized, most businesses can service all of their app needs inside a PWA environment. If you’re a business that is looking to enter the mobile app space and you are trying to decide between developing a PWA or native apps, the answer is easy. PWAs have lots of value presently and far, far more to come in the future. Unless your app is going to house a lot of deep, sophisticated features, a native app simply isn’t worth it. Not only do they cost a lot of time and money to develop, but it is also becoming harder and harder to encourage downloads. As PWAs gain popularity, that difficulty is only going to rise. You can also easily develop and launch PWAs without coding with an app builder. Simply put, PWAs are the next evolution of the app experience, and they will thrive where native apps have failed by being easier to access, share and produce, while still maintaining the same level of value that native app users have long enjoyed. Andrew Gazdecki is the founder and CEO of Bizness Apps, a company that helps small businesses build mobile solutions to compete with big brands. Their mobile app building platform makes it possible for everyone to create a mobile app for their business. When he isn’t helping small businesses, he is out surfing in the Pacific Ocean. Blogging is a great way to create content that will bring traffic to your website, and start selling online. As a small business, you’ve got a lot of competition out there. With these blogging tips though, you can stand out from the crowd and show your readers why they should buy with you. The first thing you’ll need to do is decide how often you’re going to blog. Can you do it daily? Weekly? Bi-weekly? Now’s not the time to make lofty goals that you can’t possibly reach. Be honest with yourself about how much time you have to dedicate to this project of your business. If you can only blog once a month, stick to that goal. The key is to update regularly, so search engines can see you’re a current site and rank you accordingly and send potential customers to pages of your business’ blog. To do this you can create your blogging or content calendar and write down all the dates and ideas you have. One of the best ways to get readers to find your business’ blog is to get backlinks. These are links on other sites that direct readers to your own blog. As well as helping you find readers that way, they also help your SEO as they show you’re a reputable site. One of the best ways to do this is to create your business’ page on different trusted directories. Also, to show that you’re an expert in your business niche you can guest blog on other websites. When you do this, you can provide a backlink in return on your site. Ensure you’re citing their site properly when you do so, so they get the benefit of it. Use a tool like Cite It In to help you do this and to cite references to stats and recearches. There’s a lot of debate about the length of posts you write for your blog. Which is best? Shorter blogs are good as they condense a lot of information into a short space. This is perfect if you’re writing for people who are on mobile, as many of your readers will be. Longer posts, though, are better for going into more detail. And some topics need fewer words. Just keep an eye on your length with Easy word count as you write. Yes, that’s easier said than done. However, readers can tell if they’re reading a quality post within seconds. If they’re not, they’ll just click away. Ensure that you’re writing posts your readers can use. They should be informative and entertaining to them and give them something that they wouldn’t have had before visiting your blog. Plagiarism is becoming a big problem online these days. Even if you’re actively avoiding it, you can still be caught out. Search engines will rate you down if you’re found to be using other people’s work and passing it off as your own. To avoid this, it’s a good idea to run your writing through a plagiarism detector such as PlagScan or Academized before you publish it. Good grammar is the basis of any good blog. Without it, your writing won’t look expert or professional, which is what you need. Even more, grammar mistakes can drive customers away from your business. That’s why you need to have a good handle on your grammar. Check your writing to see if there’s any grammatical mistake before you publish, and work on improving your weak points. Services like State Of Writing and Grammarix can help you improve your grammar, and the quality of your writing. Whatever your business blog is about, you should aim to become the go-to blog in your business niche. Are you selling children’s craft materials? Then you can be a blog full of ideas for school and at home crafts, updated with the seasons. You want people to come to your blog, as you’re the one with all the ideas and information that they need and the product. Think about what you can bring to your niche, and make yourself indispensable as a blog. Before you post anything to your blog, ensure that you’re proofreading and editing it before you do so. You may think you’ve written the piece well, but there’s sure to be a mistake or two that you won’t spot until you make the post live. As mentioned above, mistakes make you look unprofessional and that’s the last thing you want. Give yourself time to sit and proofread your writing, ideally at least 24 hours. This means you won’t be editing in a rush, where you might miss something. If you’re unable to edit yourself, services like Paper Fellows and Big Assignments can help. These tips are all recommended by expert bloggers, so you should try them out for yourself. Getting started is easier than you’d think, and once you’re writing you’ll find that there are lots to say about your subject. Give your readers what they need and they’ll keep coming back for more. Venturing into e-commerce for the first time? You need to be putting your customers first – but with an online store, it involves some different techniques to physical retailers. Here are just five ways to ensure your customers are enjoying your online store, spurring them to return in the future. Potential customers won’t stick around for very long if your store’s design isn’t appealing. It’s important to consider the current trends of web design and where others in the market succeed in their appearance; flat design, minimalism and cleanliness are key when it comes to websites today, and it looks to stay that way for a significant amount of time. Your products and services should do all the talking when it comes to your online store. A garish and ugly website that’s difficult to navigate will ensure the antithesis of success, and customers will almost certainly look elsewhere – to keep them around, your store’s design is almost certainly the most important factor. Once customers are convinced to buy from your store, you’ll want them to become regulars. To build those vital relationships with buyers, customer service is paramount. Be sure to give customers a way to get in touch if need be, and always follow through on promises, whether it be in regard to the quality of your product to delivery times and everything in between. Phone calls are often said to be the most effective method of building relationships between buyers and companies, so if it’s feasible consider setting up a number for people to call. If not, emails are the next best option – so long as you’re communicating clearly and quickly with your customers, they’ll likely be willing to return. “Niche marketing” should be your best friend when it comes to e-commerce. Don’t get it confused with a niche market, though. A niche market limits you severely as you won’t be catering to a large group of potential customers – there isn’t a massive demand with niche markets, due to a much smaller audience. Niche marketing, on the other hand, aims for a completely opposite effect. It’s all about finding your own space in a market that is perhaps oversaturated or tired, with the same products being recycled and churned out by every competitor. Offer something new, and customers will see you as an innovator, effectively drawing them towards you. To avoid any periods of downtime or slow speeds on your online store, you need to ensure you’ve made the right choice in terms of servers. There’s two ways you can go – a shared server is the more affordable option for those on a budget, but when sharing with another domain you’re at more of a risk of being overloaded, leading to effective downtime which may drive customers to look elsewhere. A dedicated server, albeit more expensive, is the more reliable option for stores seeking exponential growth. It’s likely you’re looking to expand and keep growing in terms of buyers, so this could be the right choice for you. There’s a wealth of potential hosting providers to help you with this process – make sure you’re choosing the right one for you. Establishing an online store isn’t without its risks. With the threat of security breaches so rife and real in e-commerce, it’s crucial you’re protecting both yourself and your customers. With attacks such as SQL injections common on online stores, the risk of confidential details being exposed and your store facing major repercussions is simply too high to ignore. Ensure you have a good level of protection in place to avoid any detriment to your safety.